For many years listeners have enjoyed hearing each day “Our Daily Bread”; a short devotional reading. The devotional is now being produced for our listeners “in House” by our own presenters. Listeners can still continue to read or hear the daily devotional by going to the following link. 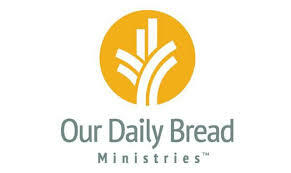 Click on the “Our Daily Bread” logo.